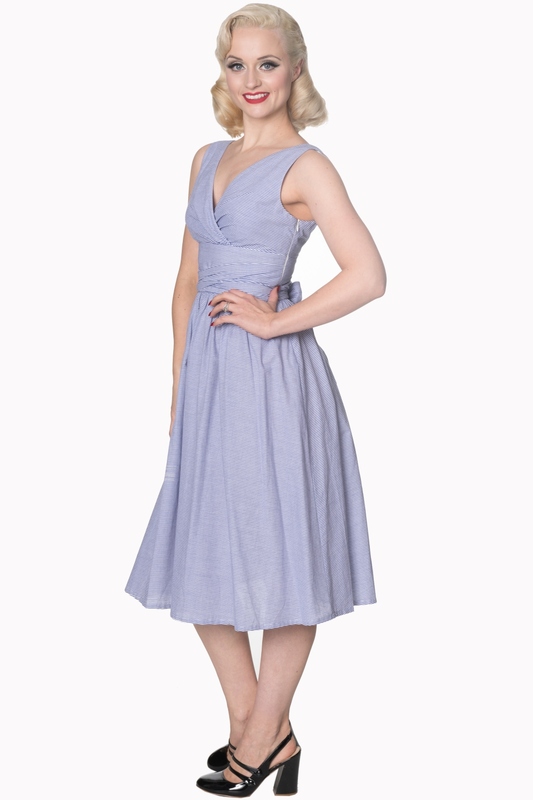 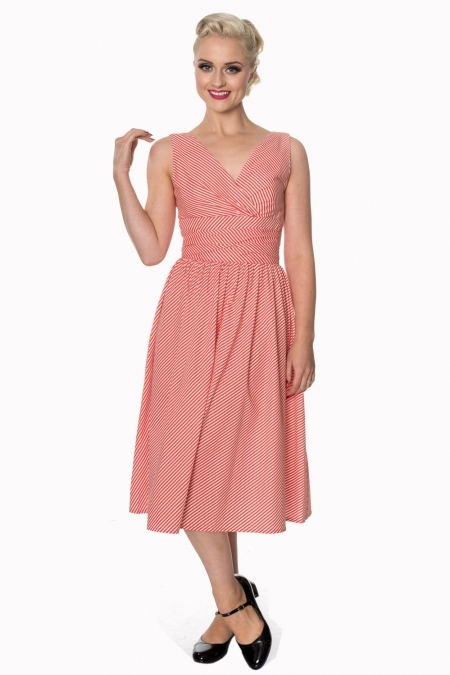 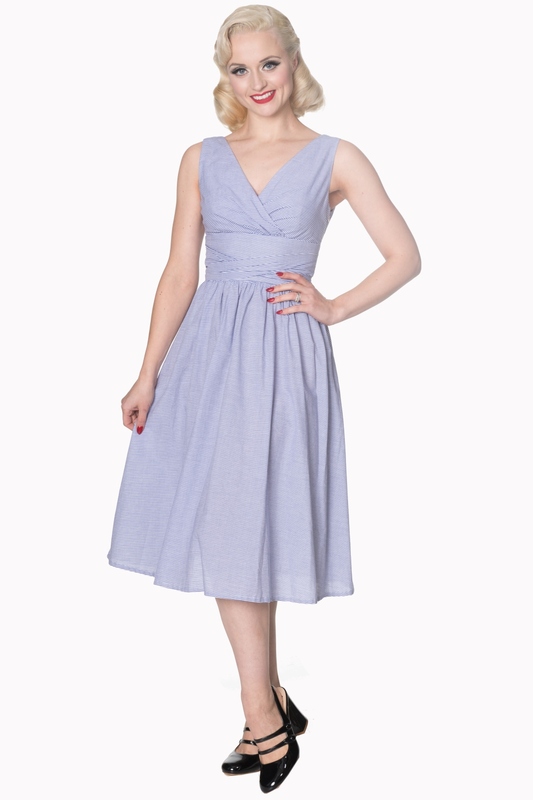 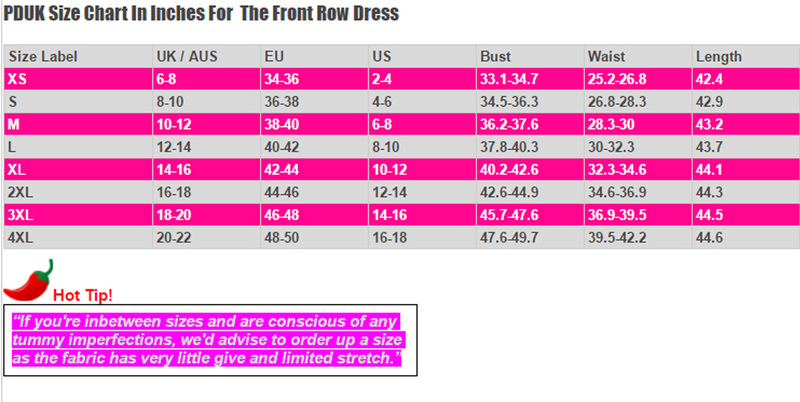 View the all new Dancing Days 50s Striped Blue And White Swing Dress in UK Sizes 6-22. 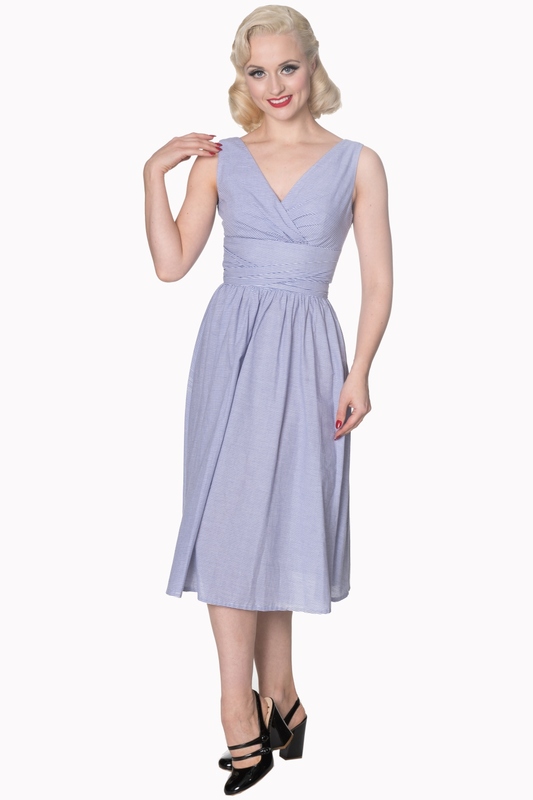 This oh-so cool blue and white dress features a wrap V-Neck top with a horizontal waist panel which is wrapped around the waist and not to forget the customisable tie straps which'll nip you in at the waistline. 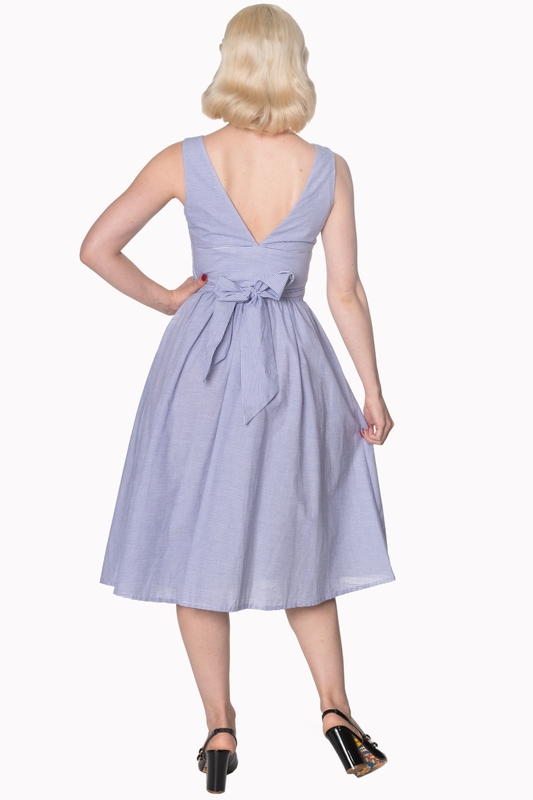 The Dancing Days 50s Striped Blue And White Swing Dress is a great number to wear to on a weekend away to Brighton Pier, a picnic to the park or just to flaunt your vivacious figure on a sunny day!